The consultation, which is currently due to finish on 9th February, has already been extended twice by Ealing Council as it struggles to put together and release important information requested under FOI (Freedom of Information). We have now had to raise a complaint about the FOI response and ask that if the outstanding questions are not answered in full by Friday 2nd February then the consultation is extended again. Ealing Voice has also requested that this consultation, which we regard as fundamentally flawed and deliberately misleading, is totally withdrawn and subsequently reissued with more appropriate content. It is clear from public responses to the Council and Charity Commission that many of you share these feelings and desire. 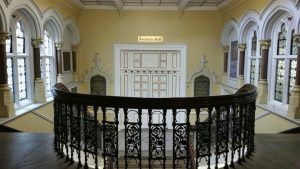 The Council has not kept separate accounts for the Trust for decades and has mixed up income from the halls and expenditure on them with that of the Town Hall generally. We have asked for separate accounts, which are legally required to be kept for the trust anyway, under FOI but this has not yet been complied with. We have however received accounts which itemise the income from the halls, and which show expenditure for the whole Town Hall. As the Memorial Hall represents perhaps 20% of the total area of the Town Hall complex it is possible to carry out some basic calculations and arrive at the conclusion that the Trust can be self financing. We await full accounts for the Trust under FOI, but the figures received so far are attached here. Please note that the loss shown is for the entire Town Hall site, including the Council Chambers, not for the property covered by the Trust. We have received a draft lease but this gives no indication of how the Trust is to be compensated for loss of its assets (worth many millions of pounds). There is also no indication of the proposed status of the Trust once its assets have been disposed of, no indication of what payments the Trust might receive from Mastcraft for the use of it’s assets and no indication how the Trust’s long term interests will be safeguarded. As with the matters above, we have referred this question back to Ealing Council for an internal review as the first stage in escalation of a complaint to the Information Commissioner. We will update again as soon as any additional information is available. Please do help keep up the pressure by making your own requests to the Council for any information you believe is necessary to make an informed decision about the future of the Trust and in support of our requests as outlined above. Thank you for all you are doing to defend the public interest. In the meantime it could be helpful if Ealing Voice were to publish on its website, for public scrutiny, a copy the lease proposed.